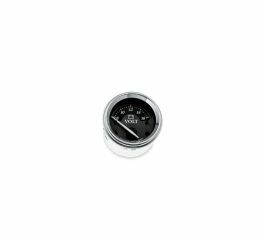 Sleek, luxurious motorcycle voltmeter gauges from Harley come in aluminum and titanium. Get the one that enhances your dash. 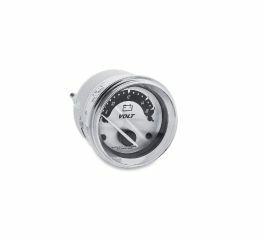 Harley voltmeter gauges are plug-in ready with easy-to-read numbers for at-a-glance voltage viewing. Add a rich, custom look to your dash. This voltmeter helps you keep an eye on the charging system of your motorcycle, while giving you a stylish upgrade from the original equipment gauge. Add a touch of luxury and style to your dash. 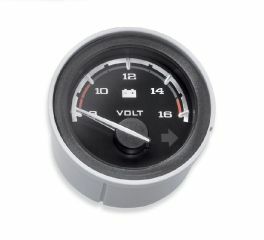 This voltmeter helps you keep an eye on the charging system of your motorcycle, while giving you a stylish upgrade from the original equipment gauge.